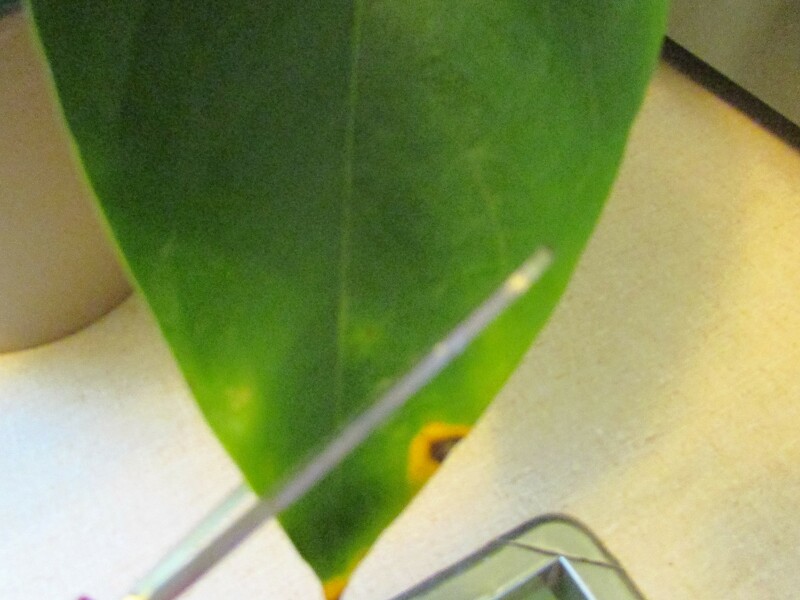 The low humidity in heated homes causes curling edges and browning of houseplant leaves. A trim with a pair of scissors is a quick fix. This is temporary, as the edge will continue to brown, but the plant looks better in the meantime. Placing a pan of water near a heating vent can easily add humidity to a room. I have one plant that just continues to turn brown and I don’t think it’s humidity. Our humidity is quite high usually over 50% in the house but perhaps the plant is just used to the 80% humidity it had when outdoors. I really don’t want to raise my humidity any more than it already is 🙂 I guess I will just have to wait until late March when I can kick the plant back out on the porch. This is a good tip, thank you!